ABOVE IMAGE: Patients and nursing staff of 16 A.G.H., Macleod. Caption faded – indecipherable. Alice E. Broadhurst in centre. Courtesy of the Alice Broadhurst Collection, Yarra Plenty Library. In the early years of the Australian colonies, citizens with mental illnesses were treated as criminals and detained in prisons, where their ‘warders’ could be fined if the inmates escaped. With the start of the Gold Rush in the 1850s, the population of Melbourne was growing by nearly 2000 people per week. Admissions to asylums were about 500 people per year and Yarra Bend was the biggest Asylum in Melbourne, now staffed by ‘attendants’. The staff working conditions were very poor and they had minimal training and very low pay. Annual Reports showed that in 1868, 1500 people were classified as ‘insane’ in a population of about 675,000 and by 1911 this figure was 5500 in a population of about 1.35 million. The Depression of the 1890s resulted in decreased staffing of institutions and a reduced level of care. Physical restraints were being used to control patients and also chemical concoctions, which included bromide, chloral hydrate and paraldehyde were available. By the start of the 1900s, ‘lunacy’ was considered more an illness than a crime. The professional psychiatrists realised the need for a workforce of nurses to support the more humane treatment of patients. Medical staff presented lectures for the (female) nurses and (male) attendants at all the asylums. From 1905 Dr Ernest Jones instituted a system whereby pay increases for ‘attendants’ were dependant on passing Nursing Exams, and study could be commenced after 3 years of nursing experience. Male attendants were earning £66 per year and female nurses/attendants £35 per year. Dr John Catarinich, working at Mont Park, prepared a new nursing syllabus in 1916, and Dr Reg Ellery and Dr John Adey added the latest developments in psychology to the nursing syllabus in 1926. By this time patients with intellectual disabilities were clearly distinguished from the patients with mental illnesses at the Mont Park site, and alcoholics and morphine addicts were also housed and treated separately. 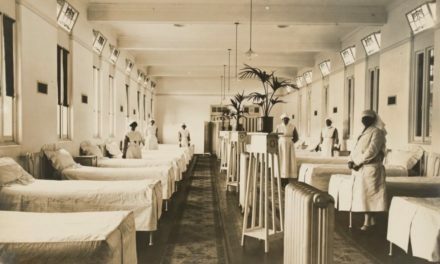 Patients with epilepsy, General Paralysis of the Insane (GPI/syphilis), shell-shocked veterans and tuberculosis sufferers were also treated in specialised wards, with independent nursing cohorts. Males attended the male patients and females attended the female patients. In 1928 the British Medical Association convened a special Conference at the ‘New Hospital’ at Mont Park where the therapeutic value of the surrounding parklands was acknowledged. Dr Ellery was using deep coma insulin therapy for schizophrenia, and malaria fever treatments for GPI, by this stage. Nurses were needed to assist with these procedures and carefully manage and care for the patients afterwards. Another Depression in the 1930s led to decreased support and more overcrowding in mental hospitals. World War II then meant further shortages of staff and inadequate funding. 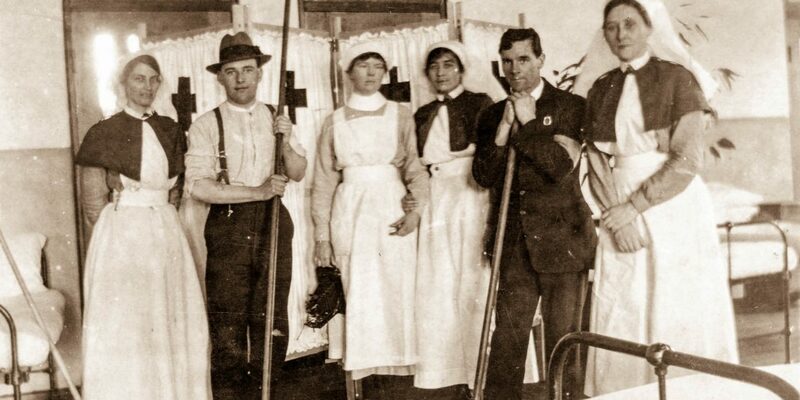 A number of male attendants/nurses were ex-military from WWI and getting too old to deal with the nature of the work. Nurses were required to do 12 hour shifts, with usually two days (or nights) on and then two days (or nights) off. The nurses supervised patient medication at meal times and helped to serve and clean up after meals. After WWII, migrants formed a large part of the mental health service workforce. Male and female patients were still separated with principally male nurses in the male wards and Matrons and nurses in the female wards. In the 1950s up to two thirds of the nursing force was comprised of untrained ward assistants. 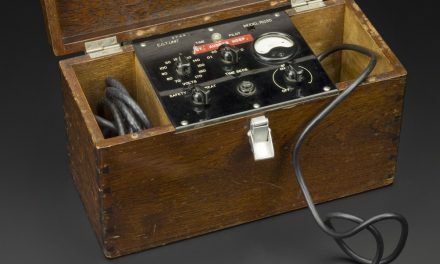 Dr Jones had recognised by 1927 that ‘In the treatment of mental disorders, the nurse plays a most important part’. 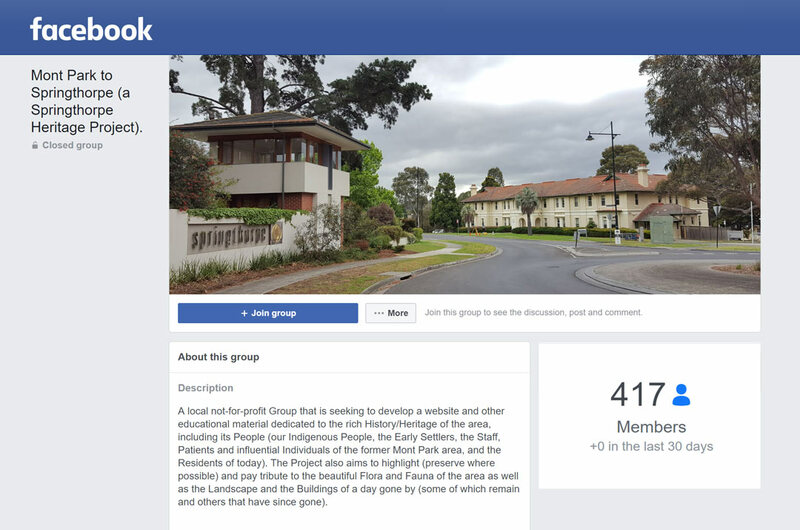 Nurse hostel accommodation on site was designed to encourage nurses to move out to Bundoora, Mont Park and Larundel, as the sites were still fairly isolated from most of the Melbourne suburbs. The Nurses Board formed a Mental Health sub-committee with Dr Cunningham Dax as the Chairman in 1952, and in 1956 David Lewis was appointed as a Nurse Educator at Larundel. 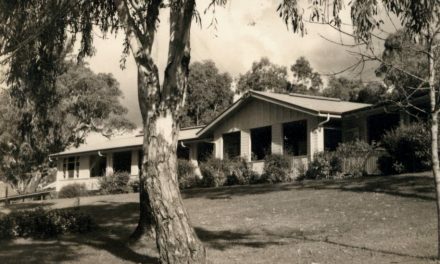 Nursing lectures given by the doctors, or the nurse educator, often occurred under the shade of the gum trees at Mont Park. Lectures emphasised psychiatry, psychology and early teachings in psychoanalysis as well as general nursing. Men could be classified as general nurses by the mid1950s, but male and female mental health nurses were regarded as second class nurses. 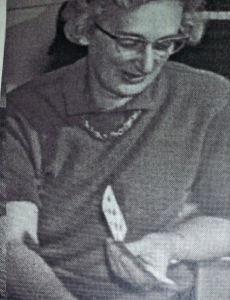 About this time Nurse Muriel Yarrington became an enthusiastic advocate of psychiatric nursing and gained her post graduate nursing training at Royal Park from 1956 -1958, then extended her training in the UK at Maudsley and Bethlem psychiatric hospitals. She returned to be Nursing Advisor to the Victorian Mental Health Department. 1960 was declared ‘Mental Health Year’ in Victoria and this State was considered to provide a standard of training comparable to anywhere else globally. By the 1960s Dr Cunningham Dax was pleased to note that community prejudices about psychiatric care were breaking down, and the stigma for mental health nurses was disappearing. Dr Cunningham Dax was famous for inspecting Victorian mental health wards at all hours, and unannounced, and insisting on very high standards of care, cleanliness and neatness. He appreciated Muriel Yarrington’s great contribution to mental health care in Victoria with her dedicated mentoring and teaching of the new nursing staff. Unfortunately she did not enjoy good health herself and died in 1968 at just 53 years of age. While general hospitals now had specialised psychiatric wards to isolate the seriously ill, Mont Park and Larundel patients were encouraged in their rehabilitation by gradually spending time back in their own homes. As an aid to this de-institutionalisation Dr Cunningham Dax achieved State and Federal reforms in pension payments to patients. Outpatient facilities grew and new drugs like Largactil (for schizophrenia) and lithium (for bipolar disorder) became available, and patients were encouraged to gain skills towards productive employment. 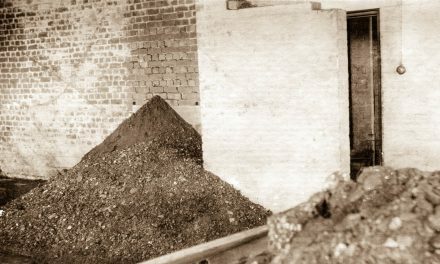 Awareness of the negative impact of prolonged institutionalisation and the labour shortage of the 1960s and 1970s led to the creation of the Victorian Aid for the Mentally Ill (VATMI) industries, with occupational therapy staff taking over the task of training and supervising patients in this paid labour. In 1969/1970 Harald Reischel was seconded from his position as Director of the new Muriel Yarrington School of Nursing at Larundel to develop a complete new syllabus for psychiatric nurses. Gender mixing of patients and ward staff began to be common place, and nurses at Mont Park and Larundel were encouraged to wear civilian clothes to enhance rapport with the patients. Patients could mix at the kiosk, church services, dances and outings with the diligent encouragement of the nurses. The nurses were the first group of health professionals to conduct individual and group therapies with the patients. 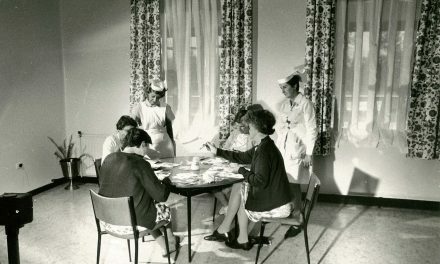 Day hospitalisation and community facilities were being developed, with nurses now offering outpatient visiting services. Over time occupational therapists, social workers and psychologists took on some of the nurses’ therapeutic roles, with somewhat blurred boundaries between these professions. By 1973 Victoria had 290 specialised psychiatric nurses compared with 5096 general nurses. Male and female psychiatric nurses finally were awarded equal pay. Now it was becoming recognised that a full complement of professionals was needed to achieve best patient outcomes. A multidisciplinary approach from psychiatrists, psychiatric nurses, occupational therapists, social workers and psychologists was embraced. In 1975 the First National Mental Health Nursing Congress was held. By 1984 most nurse education was occurring in universities rather than by students serving ‘apprenticeships’ while living and training in general hospitals. Many Victorian nurses now did their clinical placements in psychiatry at Mont Park or Larundel hospitals. This approach facilitated increased knowledge, good work practices and sensitivity in dealing with the mentally ill patients in these challenging environments. Mental health hospitals had gone from custodial institutions to remedial care hospitals, to respected rehabilitation units helping to integrate patients back into the community. The vital role of psychiatric nurses in the teams recruited to support and implement medical treatments was fully recognised. They formed the largest staffing component in the mental health service and their acquired skills in clinical care were wide ranging and imperative. Hercelinskyj, G. (2011). Perceptions of professional identity in mental health nursing and the implications for recruitment and retention. Ph. D. thesis. Charles Darwin University, N.T. Reischel, H. J. (1974). Nurse education in mental health, Victoria past, present and future. ‘UNA’ – Nursing Journal March/April.pp. 14 – 17. Reischel, H. J. (2003) The Care That Was. 2nd edition, Poseidon Books, Queensland. Sands, N. (2002). Psychiatric triage nursing: the new frontier. Ph. D. thesis. University of Ballarat, Victoria. Photograph of Nurses at Mont Park is from the Alice Broadhurst Collection, Yarra Plenty Regional Library.